We hope you had a great time at this year’s Modern Marketing Experience in Las Vegas! 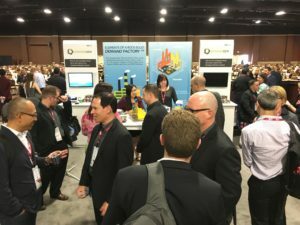 The conference brought together some of the top minds of the industry, and attendees had the opportunity to learn from demos, solution showcases, industry keynotes, product strategy sessions, customer presentations, and more. We hope you had a chance to stop by our booth to pick up your own LEGO starter kit to start building your Demand Factory™ and chat with one of our friendly team members. It was great being able to meet so many of you during the event. It’s an exciting time to be a marketer, but the ever changing marketing landscape does not come without its challenges. DemandGen CEO and founder, David Lewis, shared how pace-setting marketing teams have become powerhouses of growth by erecting a Demand Factory™ that properly integrates marketing technology in his session, “So You Want To Be A Modern Marketer? Well Here’s How.” If you didn’t have a chance to grab a free copy of David’s book Manufacturing Demand, get it here. If you want to learn more about how to build your own Demand Factory, download our “Make Marketing Matter” whitepaper. Besides the great keynotes and product strategy sessions, attendees were also able to enjoy varies types of entertainment, including performances by the Goo Goo Dolls, Bastille and Cirque du Soleil. We hosted our own exclusive Champagne Splash event along with some of our technology partners (Vidyard, Certain, PFL, LeanData, LeadSpace, Mintigo) at one of the hottest clubs in Las Vegas, Omnia nightclub. 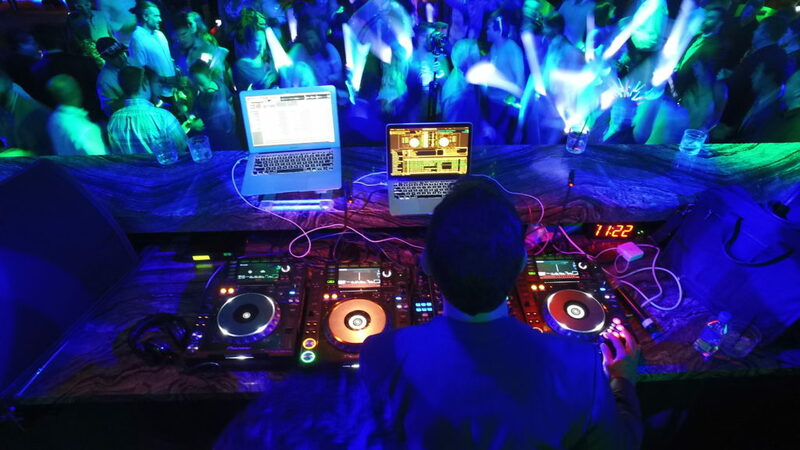 Our own David Lewis, aka DJ Dave, took the stage and surprised us all with a DJ set ranging from a tribute to the unforgettable Prince to classics such a Bohemian Rhapsody by Queen, full-filling one of his lifelong dreams to play at a nightclub in Las Vegas. Thank you to everyone that attended; we hope you had just as much fun as we did. Check out some of our event pictures on our DemandGen Facebook Page. Whether it was the outstanding keynotes and sessions, the technology exhibits, or the sparks of new professional relationships, we hope MME made a lasting impression on your perspective on the marketing world. If you were inspired by all the exciting sessions at the event, and you’d like to chat about your lead management needs or find out how DemandGen can help you, request a call anytime!